‘The Broken Road’ is brimful of the author’s characteristic exuberance, charm and erudition, with all his stylish and inimitable prose flourishes in place. First published in The Irish Times, 26 October 2013. 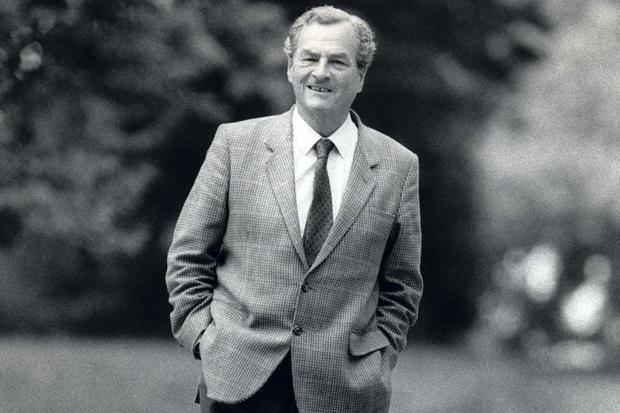 Towards the end of her admirable biography of Patrick Leigh Fermor, from 2012, Artemis Cooper relates an anecdote. After the stupendous success of the first two-thirds of his proposed trilogy – A Time of Gifts (1977) and Between the Woods and the Water (1986) – expectations were high for the final section. But something of a writer’s block had overtaken the author. Despite encouragement from every source – friends, wife, publisher, his eager readers – he found himself unable to complete the undertaking. But all was not lost. The history of The Broken Road is complicated. It completes the story begun when the author, aged 18, in 1934, embarked on a tremendous journey. His aim, which he fulfilled, was to walk from the Hook of Holland to Constantinople. Years later, when Patrick Leigh Fermor sat down to make another journey backwards in time, he conceived the project as a three-volume account of his travels across Europe during those heady years of the mid 1930s. What resulted was an extraordinary feat of recollection and evocation, which placed the author among the outstanding travel writers of the 20th century. But it stopped short at the Iron Gates in Romania (the ending of volume two). If Leigh Fermor never brought the manuscript to a state that caused him to rejoice, it is nevertheless hard to see what there was about it that engendered so much angst. It is brimful of the author’s characteristic exuberance, charm and erudition, with all his stylish and inimitable prose flourishes in place. The final part of The Broken Road is rather different, though, as it consists of entries from Leigh Fermor’s only surviving diary (January-February 1935), which he kept while going from monastery to monastery on Mount Athos. Immediacy rather than retrospection is the keynote here. No felicitous reflections imposed over the rough jottings, but rather a sense of the young traveller sitting down in one of his whitewashed cells each evening to write up the day’s events, the different types of monks encountered (“a surprisingly cultivated man”; “a funny little creature with a hump, very small, his frock discarded for chopping wood”), the scenery reminiscent of the Garden of Gethsemane, the hazardous walks up rocky paths through melting snow, the cypresses and orange trees and tranquil Aegean Sea. We have the diaries and, in the middle of chapter seven, we have a short autobiographical interlude – “My childhood was spent in London, in my mother’s very exciting company” – sparked off by two letters, one from his mother and one from his father in India, which he collected from a post office on the way to Varna. Otherwise, The Broken Road is a scintillating continuation of the prodigious walk that took the young Leigh Fermor right into the heart of magically different prewar Europe and beyond, through places “teeming with history and with natural wonders”. Eleven dolphins leaping and gambolling in a bay; a wild boar in an autumn forest; black-cloaked and hooded herdsmen of a nomadic Balkan tribe. The “strange, rather sad, rather beguiling spell [that] haunted the cobbled lanes of this twinkling, twilight little town of Mesembria”. Leigh Fermor had some considerable assets to aid him on his journey. He had a knack of falling on his feet, of getting out of scrapes and overcoming setbacks. He had high spirits, hardihood and luck on his side. Whether in the streets of some unfamiliar town or halfway up a bleak mountain with darkness closing in, he rarely failed to encounter kindness and hospitality. His gift for languages enabled him to communicate even with rough Bulgarian shepherds or Greek fishermen in a cave on the Black Sea coast. It was a time of contrasts, all of which he took in his stride: if he’s not immersed in the social life of Bucharest (for example), living it up while staying in a diplomat’s flat (after an inadvertent sojourn in a brothel), he is sleeping under the sky or in rough-and-ready peasant accommodation. He is, by turns, gregarious – drinking, singing and dancing half the night – and of a solitary, introspective bent. The first was of inestimable benefit to him along the road, while the second came into play once he’d started retracing his own footsteps, recalling with gusto the pungency of the past, conjuring up bygone scenes, moods, crucial encounters, histories, classical comparisons, lights and shades, exotic experiences, flights of fancy, all replete with the exhilaration of travel, of setting out. From the moment he stepped ashore on the snow-covered soil of the Netherlands, back in 1934, he was in his element. Now, although The Broken Road peters out in the middle of a sentence, his journey is complete, his worldly task accomplished, with the whole undertaking “as thick in marvels as Aladdin’s cave”. This entry was posted in Volume Three - The Broken Road and tagged Patrick Leigh Fermor, The Broken Road on January 17, 2014 by proverbs6to10. Thank you for this, so much.